Doing business in any overseas country will result in many new challenges for your company. When doing business in a country as large and diverse as the United States, these challenges will probably be multiplied exponentially. In many ways, crossing borders is like starting a new business from scratch — so the things that seem simple and obvious when doing business in your home country aren’t always so on U.S. soil. 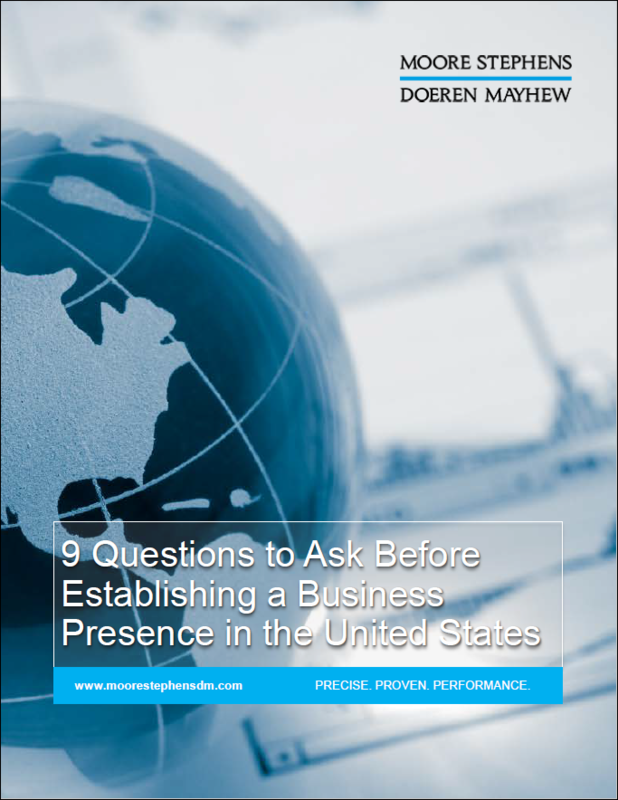 The costs involved in establishing a business presence in the U.S. This is not your typical ebook. Rather, the Moore Stephens Doeren Mayhew team uses a different approach, asking the important questions, helping you plan with your end game in mind.